Had a great time on Friday in South Jersey. Many flushes, embarrasingly too many misses. We managed to scratch 4 birds. 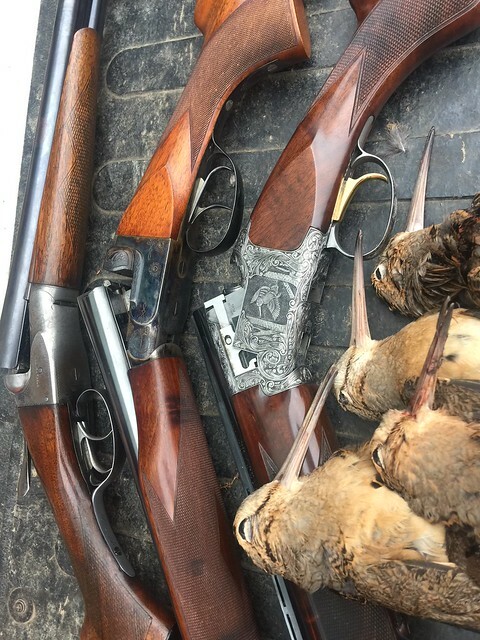 There were 16 gauge Foxes in use thoughout the day as well as a Masquelier 16, but forgive me for using my Browning O/U also for a change. I just felt the need to get out there with it. I usually almost always go to one of my Foxes. Beautiful pictures Roger. Those woodcock are gorgeous little birds and your pictures did them justice. Very nice. The entire southern rim from the Delaware memorial bridge down through Salem and south and east towards Millville and down along the bay still produce during the migration. Basically any good ground southwest of Routes 40 and 55 can be productive on any given day. A good day can produce 15 flushes a great day can be 30 +. Although, there have been days that you can't find a bird. Hey, that's hunting a migration. If the limit wasn't 3 each who knows how many flushes in a day. We usually bring 3 dogs and rotate them at break time and the most youthful dog gets to go out twice. She is totally whipped by the end of the day. Still a lot of fun! Last edited by ROMAC on Mon Dec 17, 2018 11:02 pm, edited 2 times in total. 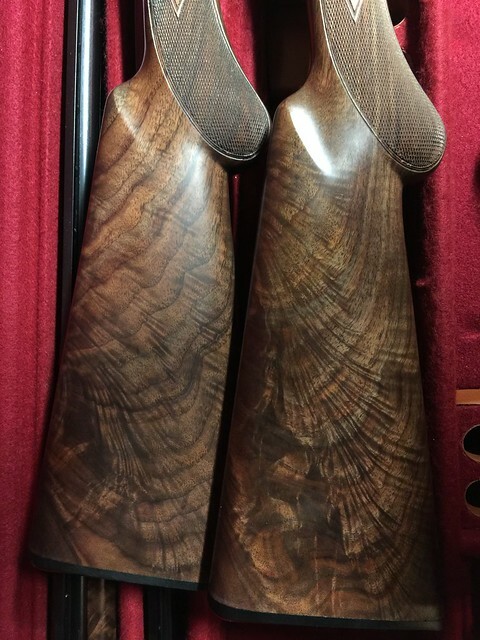 Roger, tell us about that Superposed - looks like a custom shop or commemorative model? Thx, Kevin. Kevin, that is actually an upgraded 20 gauge Gran Lightning Citori. 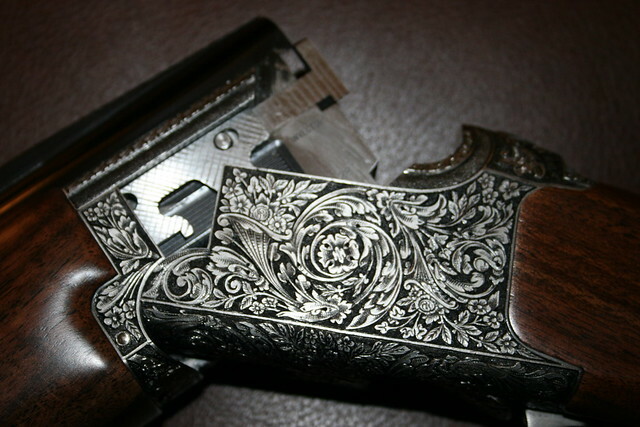 I had it done by Ron Reimer, a retired Browning Custom Shop engraver. 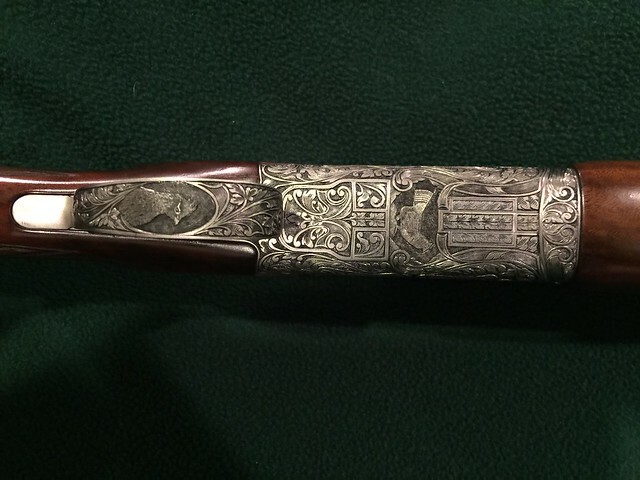 He is still engraving and has a Facebook page with his contact information. He told me he no longer does anything other than Brownings though. I had him engrave this to my specifications after he engraved a pair of consecutively serial numbered Citori Gran Lightning 16's with custom shop D5G style engraving, (I've used these a little, but they are really gifts for my two sons someday) He actually provides the guns he has hand selected in the factory cartons 'as new' and uses them as blank canvases. 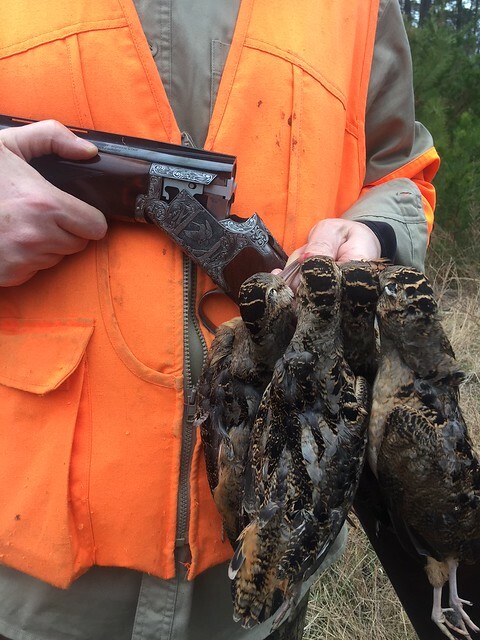 The woodcock was a first for him. I sent him pictures of the first Woodcock Stamp and he executed the engraving beautifully. 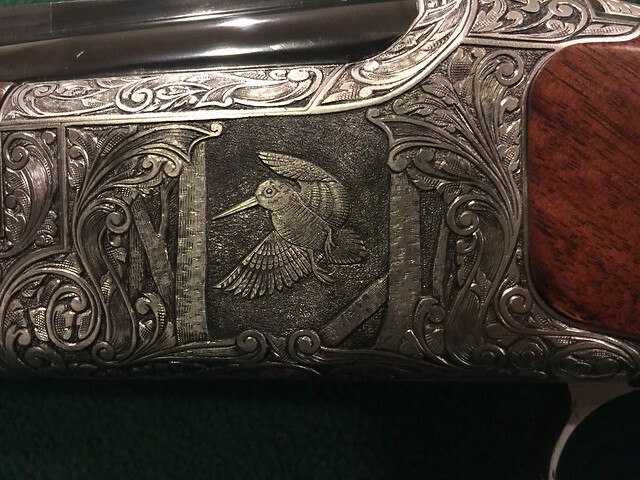 Other touches are a Pheasant on the othe side and two grouse on the bottom. As a last minute impulse he customized the thumb lever for me as well. In addition to Foxes which are always number one, I went through a Browning phase, which I've now satisfied. I also went through an LC Smith phase previously to that but now I'm looking for the perfect Prussian Daly or Spanish best. ROMAC wrote: In addition to Foxes which are always number one, I went through a Browning phase, which I've now satisfied. 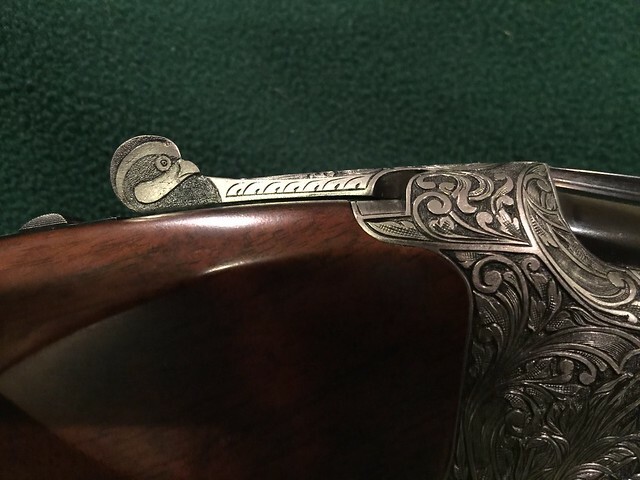 If I were a man of your means, looking for a Prussian Daly, I'd be buying the the 16 gauge listed in the Sauer - Prussian section of GI. That gun is drop dead gorgeous and in my opinion a perfect fit for me. 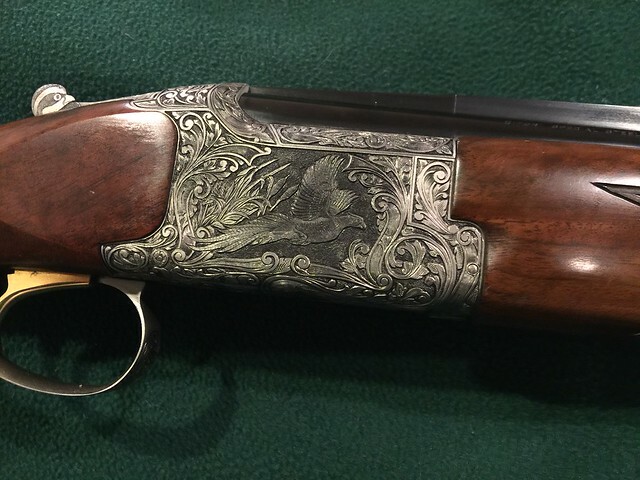 I currently own a Lindner Charles Daly (H.A.L.) 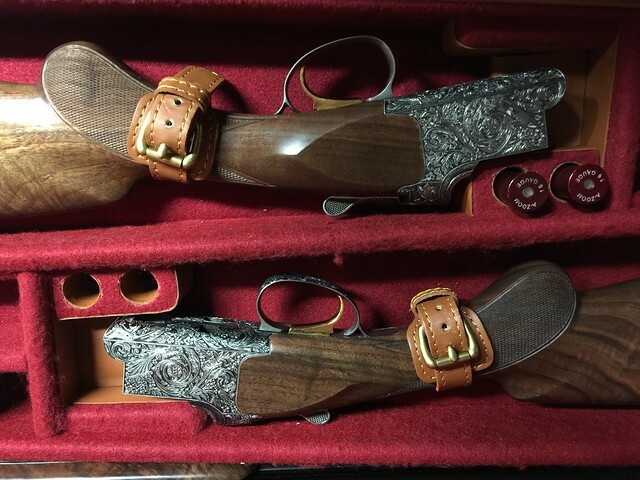 12 ga. and I can say that it is one fine gun! I had seen that gun and it is very nice. My issue is that I would want to hunt with it, not add it to a collection. My LOP is 15" and I'm left handed and would need at least 1/4" of cast on to fit my measurement preference that I was measured for professionally. I know what you mean about that 16 gauge. It's a little to "pristine" to be carried in a thicket. 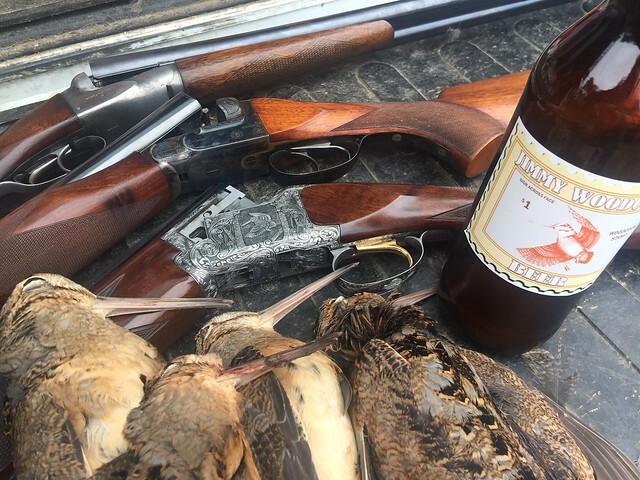 I thought I'd throw this link out there for anybody who is interested in following this year's woodcock migration. The technology is really cool and I find it fascinating as to where they originate and return to. I hope the link works. I've watched that site since I started hunting 'doodles several years ago. There seems to be a time lag with it. I usually see birds long before they're reported as being here, but it's interesting.